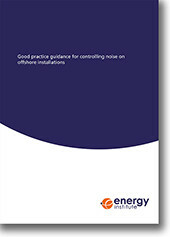 This good practice publication has been developed to inform persons involved in managing noise issues on UK offshore installations. This includes new designs, operational installations, major refurbishments and maintenance activities. Installations are required to comply with UK laws on occupational noise. Whilst it is not always possible to reduce noise levels, the basic requirement is to reduce noise risks to ALARP. This publication presents good practice in managing noise issues such that, at all phases in the life cycle of an installation, an ALARP position can be demonstrated. The guidance is largely aimed at duty holders and those advising them, but is of relevance to contractors, vendors and noise specialists involved in the design, equipment supply and maintenance for installations.